There are many foods in nature that strengthen the body and give benefits. Nowadays, many people are struggling with the problem of diabetes. It increases the sugar level in the body and decreases the amount of insulin. May food gives relief in diabetes. Similarly, there are benefits of eating custard apple. 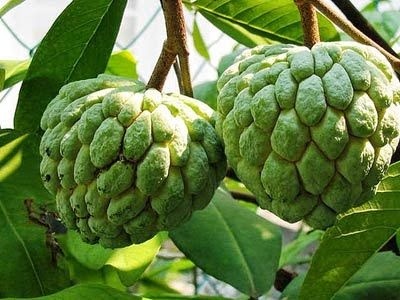 Anti-diabetic property: Custard apple has many types of quality out of them one is anti-diabetic property. The level of glucose is controlled in the body of diabetic patients by eating it. High doses of vitamin C: Custard apple has significantly higher amounts of vitamin C which controls the diabetes. Magnesium: Custard apple has a good amount of magnesium which builds strong body. When the amount of magnesium in the body is good then diabetic patient can get relief in pain and small problems. Potassium: If the level of potassium is less in the body then the risk of diabetes increases. So custard apple is more beneficial because it has substantial amount of potassium. Iron: Custard apple has the greater amount of iron. Daily intake of custard apple can remove the deficit of iron in the body.